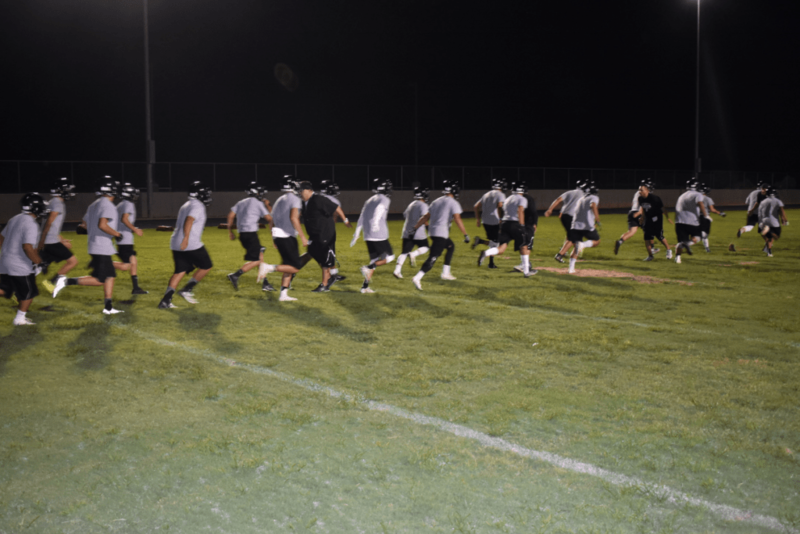 Oñate Knights take the field for Midnight Madness practice on July 31. With every ending comes a new beginning. A bit sappy, but true nonetheless. Fall camp has now ended for the Oñate Knights football team and now “Phase 2,” as we call it, the season, is upon us. Here in the “Land of Enchantment” we were able to start practicing on July 31st. I’ll admit, it was a bit odd starting so early, since I’m used to Texas start times, but we really needed it and things could not have gone better. Oñate Knights take the field for Midknight Madness practice on July 31. We just could not wait to take the field the morning of July 31, so we started at midnight, the night before…which was technically July 31st. We called it “Midknight Madness.” See what we did with the spelling there?? I was told by a reporter at NM Preps that it was the first time a New Mexico school was doing something like this. I have to admit, the idea is not exactly original as we first did it when I was an assistant at El Paso Riverside in the 90’s and back then we stole the idea from college basketball teams who did it. Regardless, the kids, parents, and the entire community absolutely loved it, as they came-out in droves to support the new-look Knights. Over 80 players participated in a spirited 90-minute workout in front of 200 people that kicked off our 2017 campaign. However, as with any program that is trying to change their culture, the afternoon practice at 4pm only drew 55 kids. Attendance was an early issue of ours as we went full-speed into camp. The kids had to adapt to our new policies quickly and realize that practice attendance is MANDATORY, not optional. What we are trying to do as a staff is create a culture of love, family, discipline, respect, and most of all accountability. We want our culture to not only exist in our locker room, but it must resonate in the hallways, classrooms, in their homes, and throughout the community. If not, we will not be successful in football and we will not be successful in life. I would say, 90% of our players are buying in and selling out for us every day. 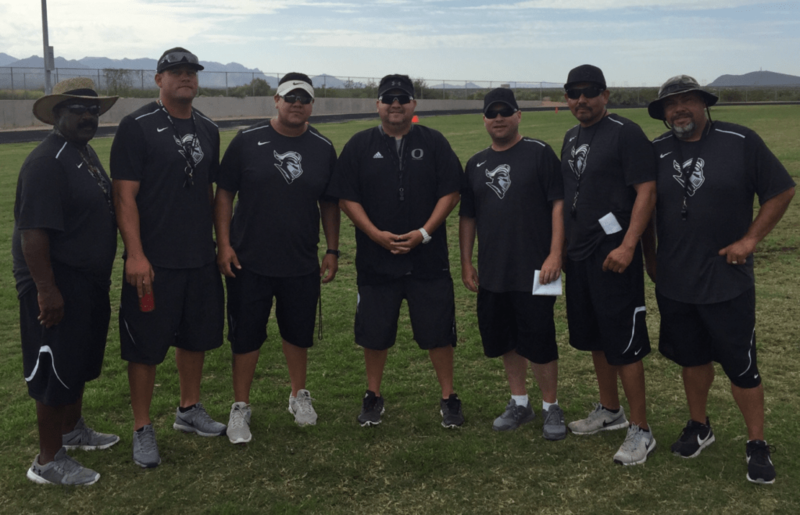 They have truly subscribed to our methods and concepts and are committed to taking Oñate football to all new levels. After two full weeks of a grueling camp, we have realized that we have some great kids that work very hard every day to make themselves and our program better. For the 10% that have not; I hope they do soon, because the train will leave the station with or without them. This Thursday, the 17th, we will load a bus and take a 3 hour trip for a scrimmage against Artesia High School, to face the Bulldogs. It will be a great test for our young team, as Artesia is a tradition rich program that is well coached and very tough.